We last left our heroes on a frozen tundra, as they fended off an attack by three frost drakes. As the last frost drake screeched and fled to the skies, an aging human woman clothed in a patchwork of leathers and furs emerged from the hut ahead of them with two gigantic wolves. She immediately pointed at Himo and called out, "You were warned before you came here that you would be killed on sight, and yet you have come anyway. Why should I spare your lives now?!" It took some convincing to turn the druid's negative reaction around, but Himo's declaration of hate for his own people helped, as did Blue displaying his family crest. In the end, the heroes were able to avoid this fight, and were even allowed to stay in the vicinity without any trouble from the lady or her winter wolves. Of course, without room in the hut itself, they needed to find their own shelter from the cold. A few endure elements spells were shared among spellcasters, and then one by one, each of the players built an igloo. The drow arrived only recently, and have been raiding the human tribes of the area with the help of their new frost giant allies. The humans, a nomadic tribal people, have not been able to unite long enough to fight back effectively. The drow are based in a cave system to the east, one very much like the caves the party just emerged from, but one that runs deeper into the mountains. It contains an earth node. One of the human tribes was camped a day's travel (give or take) to the west, but since they are nomadic, the druid couldn't guarantee that they would still be there. The next morning, the heroes decided to head straight for the drow caves. Keeping the mountain range to their right, they traveled the better part of the day before seeing anything more than snow and the occasional patch of evergreens. Then they spotted something dark in the snow ahead that suddenly disappeared. Himo sent a skeleton forward to investigate, and it succeeded in luring out the giant creature hiding ahead. The skeleton was crushed in the maw of an ursikka, and it fired its sticky saliva at the party as they charged. It didn't take long for it to fall to the heroes, however, and they were soon heading once more for the drow caves. When they finally arrived, they found a pair of frost giants guarding walls of ice around the cave entrance. 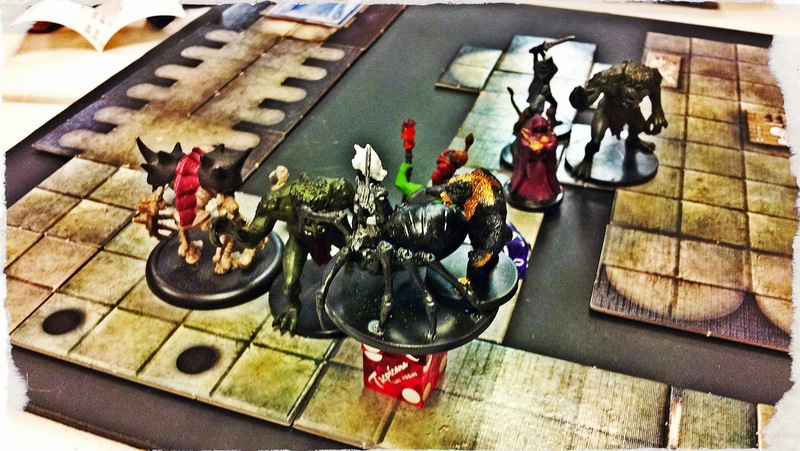 They picked up boulders to hurl at the party, but the presence of a drow in this group of newcomers stayed their attacks. 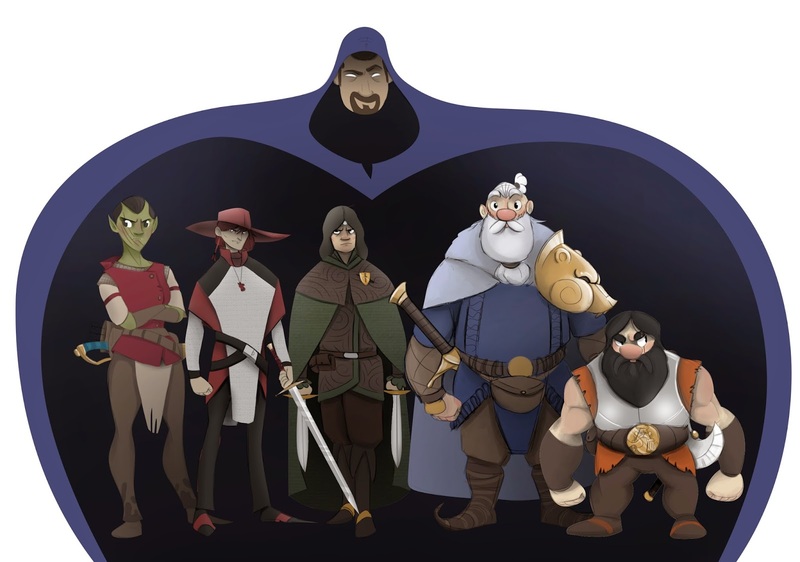 With the help of Beltin's charm, the group was able to convince the giants that they were sent to talk to the drow leader. A third frost giant came forward, and escorted them deep into the caves. 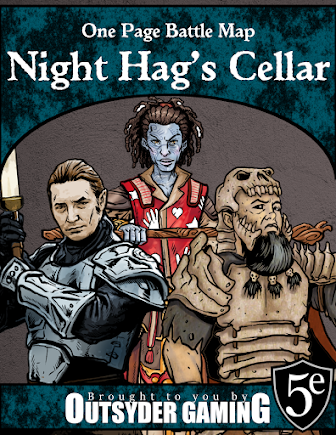 When they finally arrived in the central chamber of the caves, the heroes found themselves face to face with a drow mage and his hobgoblin bodyguard. All around them were trolls and frost giants, and it was clear that they were outnumbered. Fortunately, Temerith was able to remember just enough details from Maerimydra to convince the drow to let the group pass, and they used the earth node to teleport to Daggerdale. The earth node where they arrived was in a crypt of sorts, so ancient that the bones were too brittle for Himo's magic to make anything useful of them. As they explored, Blue was surprised by a creature made entirely of ice. It froze him in a solid cube of ice, and there he remained as the rest of the group battled on. Perhaps even more surprising, Rurik entered his rage and transformed into a bear as he charged. Two xorn and a drider joined the battle, and the group realized that they had stumbled into the lair of a drider and his minions. The drider disappeared, casting illusions to confuse the heroes while the xorn and the ice creature battled them. Meanwhile, Himo's skeletal trolls pushed, pulled, and smashed the block of ice in an attempt to free Blue. When only the drider remained, it turned invisible and tried to escape by climbing to the ceiling above them. However, it brushed by one of Himo's skeletons, who took a swing at it. Alerted to its presence above them, Mercy shot a bag of glitter at the ceiling where she believed it to be, and revealed it to the rest of the group. Meanwhile, Rurik leaped up into the air and grabbed onto the creature, delivering the last few blows before it fell, ending the battle. Unfortunately, despite the party's victory against the drider and its allies, the session ended with Blue still encased in a solid block of ice... frozen solid.